It’s no secret to us that Philadelphia can claim some of the finest food-driven establishments in the entire country. 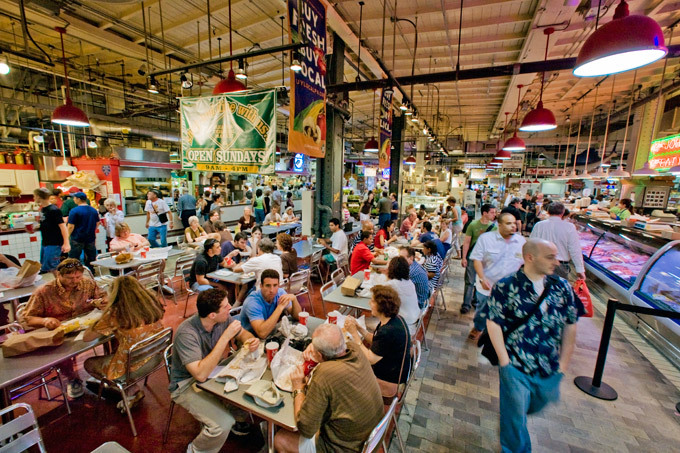 Today, though, one of our quintessential culinary destinations has been nationally recognized:Reading Terminal Market is one of 2014′s Great Places in America. Each year, the Washington D.C.-based American Planning Association names significant public spaces to its list of Great Places, which represent the preeminent spots in all of the country in categories including neighborhoods, streets and public places. All of the national picks are chosen for possessing a sense of place, cultural and historical interest, community involvement and a vision for the future, and picks are based on such criteria as architecture, accessibility, functionality and community involvement. Reading Terminal Market, established way back 1892 at 12th and Arch streets, has emerged in the 21st century as one of the greatest public markets in the country with more than 6 million visitors annually. Citing the market’s vast visitation, wealth of locally owned vendors and its numerous amenities and recent improvements, the APA nods to the market’s amazing history and its bright future. And if you haven’t been to Reading Terminal Market recently, this serves as a great reminder to get there and enjoy the outstanding offerings of the nation’s oldest continuously operating farmers’ market.